Schemes and Where Was I? I suppose I can grudgingly confess to having a process of my own for naming characters. Although it’s hardly what I would call schematic. I’m one of nature’s over-thinkers, the sort that will spend half an hour deciding what starter to order, and my ‘method’ proceeds more or less as you might therefore expect – me, sitting with my eyes closed, as variations around a theme ebb and flow and reshape over time into forms more pleasing. But perhaps I’m jumping ahead somewhat. There’s almost always a beginning to this process, a nucleation point for all this subsequent hyper-analysis. There’s a good reason that I’m skirting around it as where these beginnings come from is a tough one to pin down. It’s organic as a rule and generally arises from that magic region of the subconscious that specialises in such things in response to a goodly long while spent nibbling on my lip and mulling on the character, their species if it’s a fantasy (which for me, it generally is), and how they fit into the world I’m building. With minor characters, who may just be a name and a line of description, this is easy. For the dwarfish populace of Karak Azul in my debut novel, Headtaker, set in the fantastical Warhammer world, this involved no more than an as-and-when search of a website of Icelandic names and selecting some I liked the sound of (step forward Keldur and Narfi). But major characters don’t get off nearly so lightly. Names have a certain power over our perceptions and emotions. A name gives an inkling into what we can expect from that character, giving a sense of time and place as well as even revealing something about their character. Sebastian and Ulf the Slayer, for example, were probably not at Eton together. Rules are made to broken of course, and Terry Pratchett’s Discworld series is a masterclass in how to subvert fantasy conventions, including names. This works for comic purposes, less so amidst the grim violence of Warhammer, and I want to make sure that the name of a character is precisely right for THAT character. Sticking with the dwarfs of Warhammer and Headtaker, one of the main protagonists came to be called Handrik Hallgakrin, but that wasn’t how his life began. He started out as Lorgar Lorgarsson, which I thought sounded like a pretty tough kind of badass, but unfortunately the Black Library hadn’t room for two such badasses and, with a Lorgar already out there (what were the odds? ), Lorgarsson never got to see daylight. So, after much whining and moaning and relocating of toys from prams, his name became Rorrick Runehammer. You may begin to sense a certain alliterative theme here – I swear this wasn’t intentional! My penchant for perfectionism took over here and convinced me that this was actually a pretty terrible name. Fortunately, at around the same time, I’d decided I wanted this character to be a relation to somebody, anybody, that had already featured in the Black Library books, to give him a sense of belonging even if nobody else would recognise it but me. This then was how I stumbled upon the name of Hallar Hallgakrin and Handrik, whose first name is a derivitization of a Finn I once knew, was born along with a whole bunch of backstory that let him walk into the world of Warhammer as if he truly belonged. I also liked the name Handrik on a gut level. It has a dwarfish solidity that seemed appropriate to the character. And Rorrick still snuck in later on as a minor character so, in the end, everybody was a winner. Other characters managed to emerge pretty much fully formed without having to endure such a convoluted synthesis. For the character with whom the book opens, there were quite specific traits that I wanted to evoke in the reader’s mind and I just seemed to latch onto what the name should be straight away. His name became Sleek. It’s a name that I probably couldn’t have gotten away with in any other setting, but it’s a perfect moniker for a devious rat-man. It’s also a name that conjures images. Sleek. It gives an idea of what he might be like without needing even to see the book, let alone read a depiction of the character. His companion, Ratklett, on the other hand (or paw) acquired his name for the simple reason that I just couldn’t resist naming a rat after a cheese! So that’s mostly that. I’d call it the Guymer Protocol, if I believed it in any way unique, special or, indeed, recommended. But I can’t complete any kind of disquisition on the method of naming without offering up one final nugget hard-earned by yours truly. It sounds obvious, but a consideration of how a piece of work is to be used really shouldn’t be overlooked. I’d come up with a killer name, Ghrizzhtadt, for the titular villain of Curse of the Everliving. Very scary, I thought, inhuman. It has that unpronounceable, daemonic quality to it. Perfect, right? Uh, actually no. A semi-pronounceable name is not exactly what’s called for in a script for an audio production that some poor fool is going to have to read out. They were professionals though and the show well and truly went on and it turned out just fine, but let’s just say that one of the Black Library editors relayed a (I suspect, not entirely joking) telling off from the production company and a valuable lesson was learned. I’ve already used the word organic, and damn it I’ll use it again, since that’s ultimately how the process of naming characters is for me. Sometimes they sprout fully formed, other times they’ll develop and grow with time (and, like most things, they grow better when not looked at!) It can cause me some headaches on occasion. At the time of writing, I’m still trying to settle on a name for a particular character in my latest book. But even then it’s energy well invested as nothing shows off a character with the fewest words than a well chosen name. The next featured author is Cassandra Rose Clarke on 20th December. The full schedule can be found in the top link. 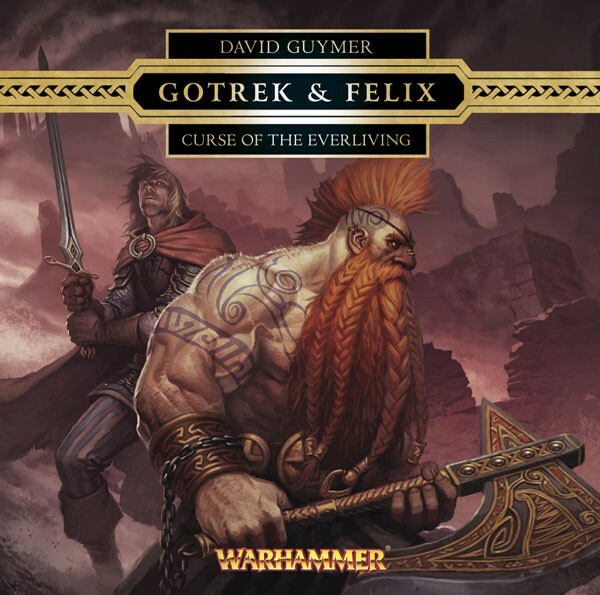 Posted on December 17, 2012, in Debut Authors Guest Series, Guest Posts and tagged Audio Drama, Black Library, Curse of the Everliving, David Guymer, Gotrek & Felix, Names, Names A New Perspective, The meaning of Names, Tie-in fiction, Warhammer 40k. Bookmark the permalink. 1 Comment.